First, never run as an administrator: if you get infected by a virus or other piece of malware, it will have the same "privileges" (powers) as you do. As a standard user, the damage will be more limited. If you are currently running as an administrator, create a new user account that you'll use as admin, and never logon using it. Second, change your user account type to "standard". Also, make sure that your User Account Control settings are set to the highest level. 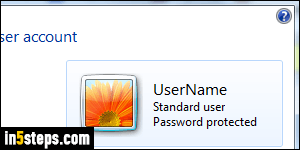 Make sure that your user account is password-protected: with various types of PC recovery software, it's very easy to bypass the Windows passwords, but it will keep casual users away from your account and files. 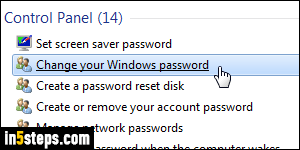 If you don't have one, add a password to your Windows account; if you have a weak one (easy to guess), change your Windows password to something stronger. And make sure that you do have a good password hint setup in case you can't remember it! If you don't have an antivirus software, make sure that you on least download and install Microsoft Security Essentials: it's free, and also made by Microsoft. It may have come already pre-installed on your PC. 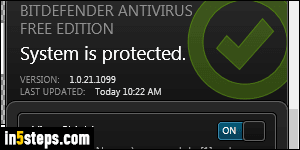 Better yet, download Bitdefender Free. It's (obviously) free, much better at catching viruses, and it's just as unobtrusive and user-friendly as MSE - its two biggest claims to fame. Since Windows XP SP2 (service pack 2), Windows comes with a built-in firewall. Make sure that your firewall is turned on. 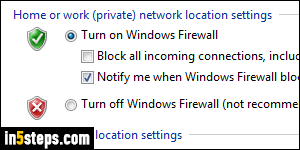 This prevents some types of attacks that try to infiltrate your computer from the outside (on the same local or wireless network, but most likely someone "on the internet"). This is even more important if you connect to free Wi-Fi networks at coffee shops, airports, the library, and other public places where anyone can hijack that connection. 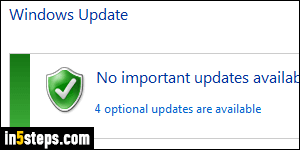 By default, Windows Update is set to automatically download and install the latest patches from Microsoft. This is the most secure setting, but many people don't like the fact that their PC restarts unexpectedly! You can prevent Windows 7 from automatically installing updates, and you'll be notified when they're available. That will give you time to finish what you're working on before installing them. Make sure to install these updates as quickly as possible! And avoid hiding important updates that are recommended for your computer. 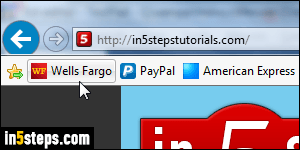 - You may receive emails from your bank, PayPal, eBay, Amazon, and other companies that handle money transactions for you. Know that these companies will never ask you for your password. And, if such a message asks you to log into your account, don't use one of the links in the email: search for that company on Google, or use a bookmark you previously created!